Here's a courgette recipe I use frequently and really enjoy. 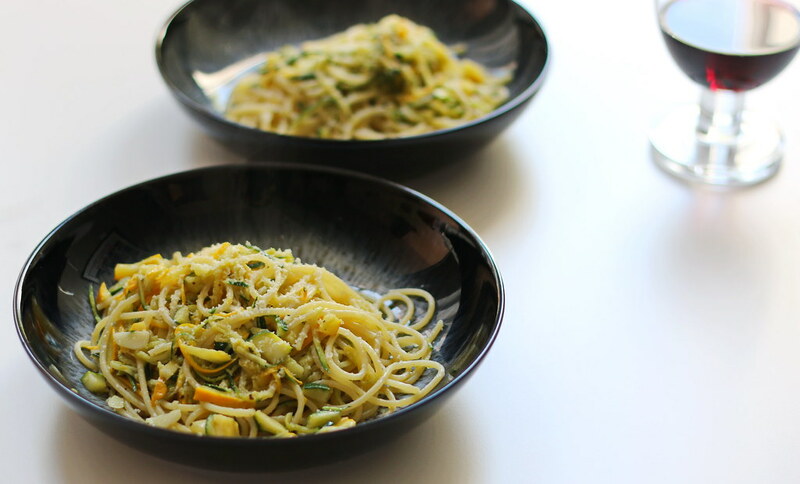 It uses up courgettes fast and can be made quickly. It really is amazing what 40 seconds of rosemary can do. It's from Dear Francesca, An Italian Journey of Recipes Recounted with Love by Mary Contini. Edbury Press, Random House, London, 2003, pgs 141-142. Heat the olive oil, add garlic and cook it gently to flavour oil (30 sec). Add grated courgette and cook in the oil, keeping the heat high enough to let courgettes brown a little at the edges, to desired doneness. Toss with cooked spaghetti, adding plenty of fresh ground black pepper.